Seriously, though, is Punjabi "kuri" cognate to Punjabi "chorri"? We also use "chohri" (but for daughters). According to the Turner's Indo-Aryan etymological dictionary (https://dsalsrv04.uchicago.edu/cgi-b...&searchhws=yes), the Punjabi word kuṛī, 'girl, daughter', (https://dsalsrv04.uchicago.edu/cgi-b...&searchhws=yes) goes back to Proto-Indo-Aryan *kuḍī, 'girl, daughter' (apparently this is a non-attested word in Vedic and/or Classical Sanskrits). As parasar has noted, so according to Turner also, this might have something to do with the relevant Munda word or a Dravidian root familiar to me that goes as *koḻ- where the ḻ stands for the Dravidian retroflex approximant. Its modern descendants include Tamil kuḻantai, 'infant', Telugu koḍuku, 'son' (https://dsalsrv04.uchicago.edu/cgi-b...ko%E1%B8%8Duku), etc. Now I don't know how Dravidian scholars inclined towards Dravidian-substrate-in-Indo-Aryan idea theorise the fate of the retroflex approximant *ḻ when substrated into Indo-Aryan, but I just want to make a mention that the Dravidian-origin possibility for the above example requires that the Dravidian retroflex approximant *ḻ be transformed into a *ḍ in Indo-Aryan. (Within Dravidian this exact change does occur in relation to the retroflex approximant but majorly in the South Dravidian-II (Telugu-Kui) subgroup as seen in the Telugu example above and much later than any supposed period in which early Dravidian substrate features would have entered early Indo-Aryan.) It is also possible that the Munda and the Dravidian words are both related too from a deeper point or later point compared to the time in which this word entered Indo-Aryan lexicon. Then, the Punjabi word chohrī (https://dsalsrv04.uchicago.edu/cgi-b...ry.py?page=227) along with another possibly related Punjabi word chokrā 'boy' apparently go back to Proto-Indo-Aryan reconstructions (again apparently not attested in Sanskrits) *chōkhara and *chōkkara (https://dsalsrv04.uchicago.edu/cgi-b...&searchhws=yes) respectively. And this is a different etymon to the *kuḍī one above in the etymological dictionaries, so they are most probably not related. Last edited by anthroin; 01-29-2019 at 10:47 PM. Probably a short for Kumari, just like Kaur word is. Yes Kuar is definitely a form of Kumari, but Kuri has the D sound in R. But yes a common origin is possible with a later sound change. Also, many linguists when they don't find an equivalent in other IE language, are quick to ascribe a non-IE orgin. For example Kumar itself and Karpas (cotton, clothes Kapara etc.). Greek Kumar/Kuar form is kouros - https://en.wikipedia.org/wiki/Kouros "youth, boy, especially of noble rank"
Last edited by parasar; 02-03-2019 at 09:08 PM. Yes we have seen quite a few of these couple burials spread around the world. The couple from Rakhigarhi though is typically Harappa. Supine position - lying on the back, fully flat, with no crouching. 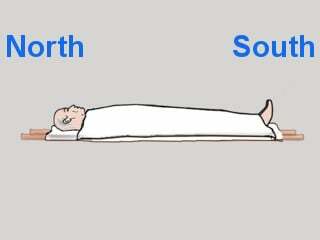 Laid north-south with head towards the north. Even now the dead body (shav) is laid in the supine flat position and the head is kept pointing north upon death (prior to cremation). The theory is that Yam's abode (lok) is in the south and the dead body's being/energy is thus taken to Yam's abode in the most efficient manner! Interesting to see the Bauddh Mongols* use the Indus valley type burial position while the Shahr i Soktha ones are akin to the European types, eg. Corded Ware. *"The skeletons were placed in the fully extended position, lying on their backs, with their heads pointing to the north and the skulls tilted slightly to the east or the west ... Burials No.1 and 2 are associated with Buddhist customs. The gravestone of burial No.1 had a carved image of Buddha. Burial No.2 included a Buddhist metal bell with a handle shaped like a question mark." Last edited by parasar; 02-12-2019 at 08:16 PM. Dashty Kozy is the Sintashta derivative from Tajikistan. It is probably one of the closest things we have to the Indo-Europeans before they descended upon South Asia. It's interesting because they seem to have mixed along the way but still appear pretty similar to the original population anyway. This is due to picking up EHG and Iranian neolithic like admixture which balances it out somewhat as Yamnaya itself was mostly CHG+EHG. Dashti-Kozy has pottery and metal work of the Andronovo type. There are also small pieces of charcoal at the base of graves which is also typical Andronovo. It has been known for many years as the southern extension of Andronovo. It is in reference to such sites that Mallory says that this "only gets the Indo-Iranian to Central Asia, but not as far as the seats of the Medes, Persians or Indo-Aryans" as there is no continuity of this culture in Iran and India in the Indo-Aryan and Old Persian time-frames. The kurgans do show up in south Asia but much later. The earliest are supposed to be in the Shatpath Brahman period. Witzel: "non-orthoprax Indo-Aryan tribes such as the Malla and Vrji. They immigrated from northwestern India into Bihar which had been already settled by the old, para-Vedic Indo-Aryan tribes such as the Iksvåku, Kosala, Kåśi, and Videha. Many of these tribes, including the Śakya to whom the Buddha belonged, are called asurya in ŚB. For it is the Sakya and their neighbors, the Malla, Vajji, etc. who are reported in the Påli texts as builders of high grave mounds, such as the one built for the Buddha. According to ŚB 12.8.1.5 the “easterners and others(! )” are reported to have round “demonic” graves, some of which may have been excavated at Lauriya in E. Nepal. These graves are similar to the kurgan type grave mounds of S. Russia and Central Asia. However, the origin of the Śakya is not as clear as that of the Malla and Vrji. They may very well have been (northern) Iranian, and would then constitute an earlier, apparently the first wave of the later Śaka invasions from Central Asia." It is puzzling to say the least why these migrants would not have built the grave mounds when they were in the north-west. To me these are more likely later shak than Indo-Aryan. In fact I would not be surprised if these mounds as late as the Maurya-Kushan period. As during this period we do see mounds in the NW too. "The dating of Lauriya is not earlier than the eighth century B.C., and Marshall was cautious in supporting Bloch's interpretations of the site, attributing the earlier Indus Valley Civilisation to pre-Aryan, non-Vedic populations ..."
30 km n.w. of Dt headquarters Bettiah and is famous for two Asokan pillars standing at Lauriya and Nandangarh The site was first excavated by A. Cunningham in 1862 who found a retaining wall of brick In 1905 T. Block excavated four mounds, and collected a gold leaf with a female figure standing in frontal pose and a small deposit of burnt human bones mixed with charcoal. The core of the mounds was, according to him, built of layers of yellow clay, a few cm in thickness, with grass leaves laid between. Further down in one of them he found the stump of a tree. In 1935-6 N.G. Majumdar (ASI-AR 1935-6, p. 55; 1936- 7, p. 47) re-examined four mounds and found that all of them were earthen burial memorials with burnt-brick revetments, two being faced with a brick lining in a double tier. The core of the stupa consists of a filling of earth with a large number of terracotta animal and human figurines in the Sunga and Kushan idiom, a few punchmarked coins and cast copper coins, terracotta sealings of the 2nd and 1st centuries B.C. and iron objects. In a shaft dug into the centre of the mound though an evidently disturbed filling was found at a depth of 4.3 m the remnants of a brick altar 1 m high and of 11 m from the surface of the mound was found the top of an intact miniature stupa, complete with a surmounting square umbrella. This stupa, is 3.6m in height and is polygonal on plan. An examination of its interior yielded nothing, but beside there lay a tiny copper vessel with a lid fastened to it by a wire. Inside the vessel was a long strip of thin birch-leaf manuscript, which having been squeezed into it was so fragile that it was impossible to spread it out thoroughly. The bits that could be extricated were sufficient to show that the manuscript was that of a Buddhist text (probably the Pratitya samutpada-sutra, as the word nirodha couid be read a few times) written in characters of the 4th century A.D. No excavation was undertaken at a further depth. Burial style of the 2000 BC Sanauli warrior - also in IVC supine style (not sure about the N-S direction). Interesting, they have sword, pottery (not steppe type), and chariot which is challenging Aryan theory. I think their sword is the same type of one of seima turbino swords. 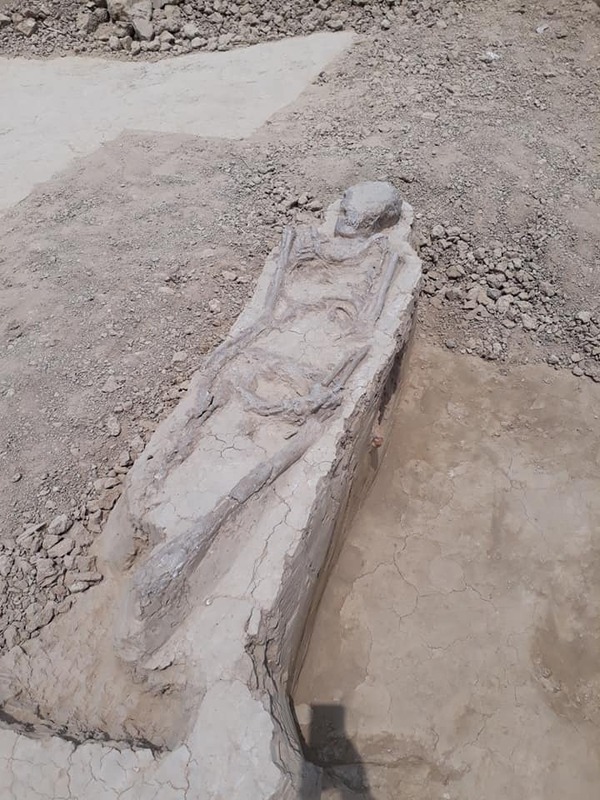 Anyway, the Harappan burial is almost same as west siberian neolithic, like only right leg straight(Sanauli warrior also) and head turning to left. 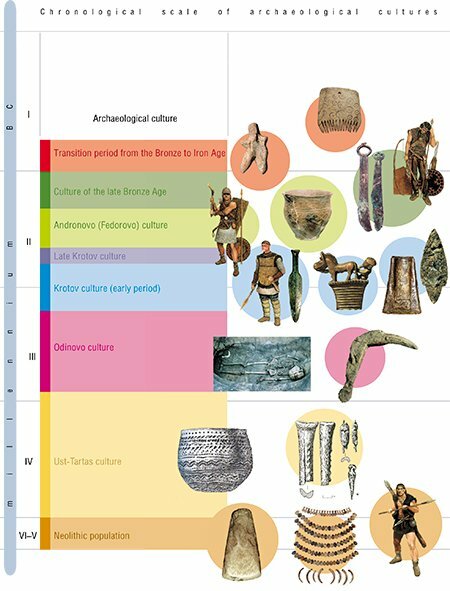 This people probably would enter IVC with altai language(turk, korean, and Japanese) words, which is a main factor to make the whole civilizations similar to mesoamerican one as lots of archaeologist said. Last edited by johen; 02-22-2019 at 04:27 AM. Their comb is the same type of Seima turbino or andronovo. Actually they were merged. of course Sanauli burial type is last ST type. Do you have any information about the other artifacts? Last edited by johen; 02-26-2019 at 12:12 AM. "“The findings of the Harvard group and the Indian scientists’ were complementary. We will be submitting the research to an international publication soon,” he adds. Shinde is reluctant to talk about their findings till the paper is published, but says that Harappans were local people. “The indication is it was a local development — that people were already there. We have combined genetic and archaeological data to reach this conclusion.” The local people had contacts with people in south and central India and relied on them for gold, semi-precious stones and copper. They also had ties with Iran and Afghanistan. “There is a possibility of mixing of population. The Harappans were a heterogeneous people,” he says. Another breakthrough paper involves the facial recreation of the ancient people. Shinde insists the South Korean team’s work on this is accurate. “We now know how the Harappans looked — and they were not very different from us. The paper has been submitted to Nature,” he adds. Facial reconstructions were done for three male and two female skulls. “They were robust people, sturdy, quite like the men and women of Haryana today,” he notes. The healthy gene, he says, is probably the reason why Haryana produces so many sportsmen and women." How prevalent is L-M27 in Haryana by the way? Last edited by aaronbee2010; 03-04-2019 at 09:29 PM.